Bird’s eye rhyolite teaches us how to recognize and activate our deepest potential, all of the possibility that sits inside. 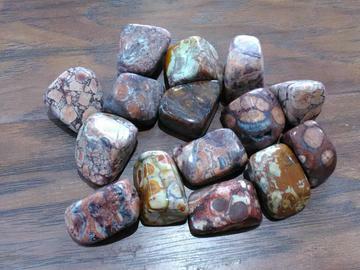 It is an excellent stone for those who seek actualization and self-realization. When you meditate with Bird’s Eye rhyolite, you align with your Higher Self. This stone helps you listen to and interpret the messages you receive without any distortion or confusion. Clarity, introspection, and wisdom are the gifts of this stone.